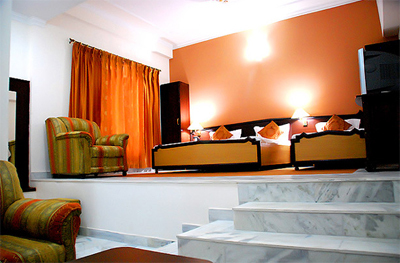 Imperial Height Resort is a standard property located in the beautiful village of Kanyara. The resort is surrounded by lush green forests and Deodar trees and has a tea garden spreading across an area of more than 2 acres. The exquisite blend of modernity and contemporary design enhances the beauty of the hotel. 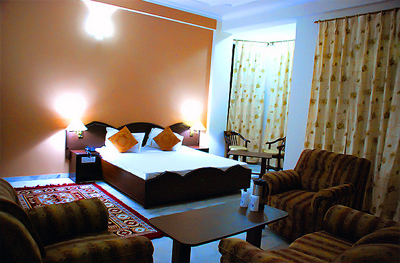 Guests can enjoy the in-house services and facilities provided by the hotel and make their stay memorable and pleasant. In their free time guests can make use of the indoor as well as outdoor gaming facilities. The resort offers facilities for both business and leisure travelers. 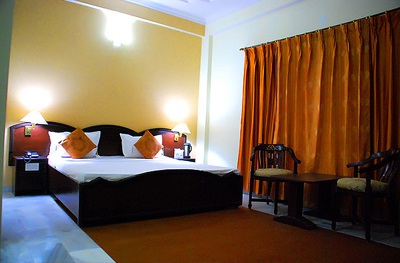 Relax and stay in one of its 15 well-furnished rooms, which are equipped with all modern day amenities. These spacious rooms are decorated with vibrant colors and offer eye pleasing panorama of the mountain ranges; just stand near the large window of your room and take in the soothing view. Unwind at the on-site restaurant and relish an array of delectable dishes served in buffet style. The resort offers guests a comfortable accommodation in its 15 fully-equipped rooms; the usp of these rooms is to enjoy majestic views of the Dhauladhar mountain range from the comfort of your room. These simple and elegant rooms are well decorated and outfitted with all essential amenities like television, direct dial telephone, tea/coffee maker and bed side lamps. En suite bathroom in each room come with complimentary toiletries.